E.C Moccia, Builders is a design/build company located in Sandy Springs Serving the Greater Atlanta Area since 1983. Providing Quality Custom Home Building Solutions from Initial Project Conception through the Final Building Completion. E.C. Moccia, Builders believes that the homeowner deserves the very best attitude and commitment to excellence available. Our purpose is to make this new home or remodeling project a pleasant and exciting experience for our client. It also means providing timely convenient service, quality craftsmanship and the most value possible for your investment. We offer the homeowner a complete service for their project, whether its a custom home or updating a kitchen or master suite. We can design your project and put together the plans and specifications. We also provide interior design and decorating services. Earl’s unique background allows him to design a project in a manner that will help to insure that the cost and value relationship is maximized. We have always prided ourselves on meeting and many times actually exceeding the expectations of our client. 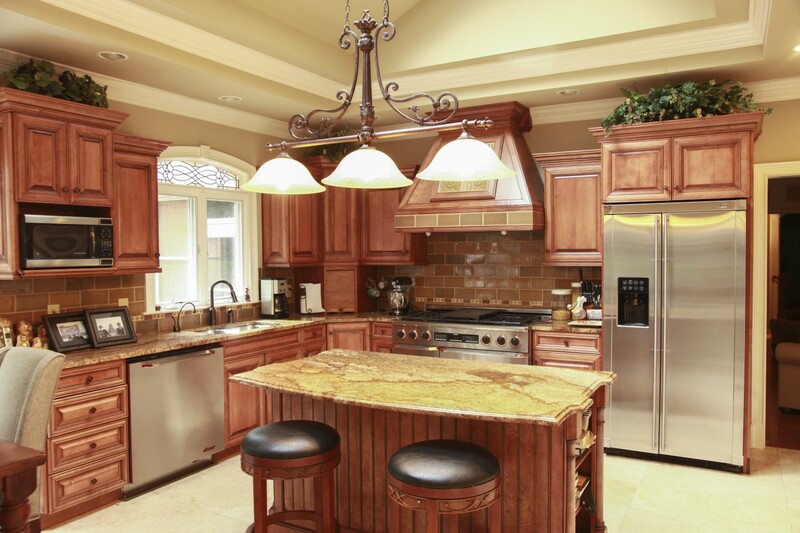 Custom Design Cabinets and Island with custom designed tray ceiling with 2 large skylights. Pre-Construction – Cost Estimating, Value Engineering/Cost benefit Analysis, Subcontractor Pre-Qualification. Construction – Permits, Schedules, Construction Supervision, Contract Administration, Document Management, Budget Management & frequent Status Updates. Post-Construction – Project commissioning, Close-out, Warranty. Contracting Methods – General contracting, Construction Management, Design-build.